This is the sixteenth installment of the monthly classic actress beauty tips that I have read about and tested. Marlene Dietrich is known for her glamour: her golden hair, prominent cheek bones, fashion forward style and perfect legs. 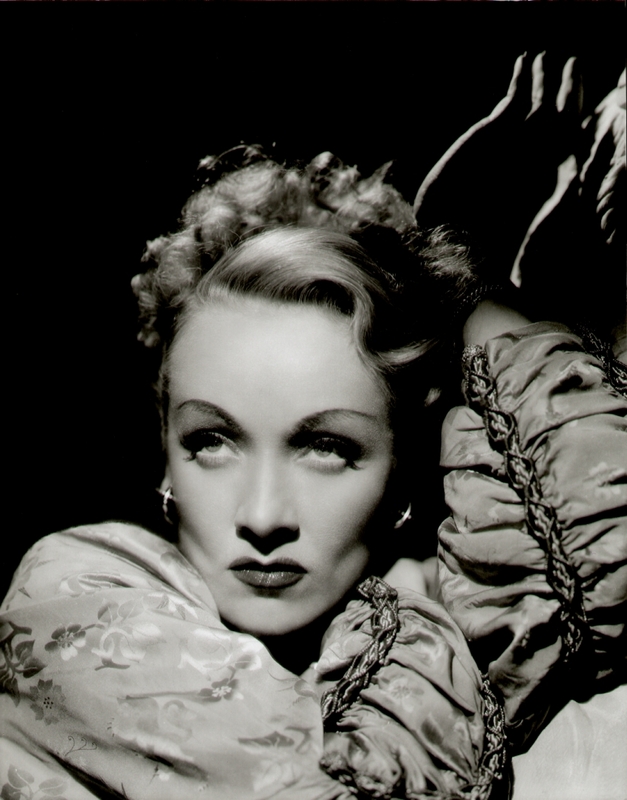 Dietrich also had striking eyes. Beneath drawn on thin eyebrows, her bedroom eyes could seduce or intimidate. Dietrich’s eyes were sunken in and very big. To help create the illusion of large eyes she never wore liner or mascara on her bottom lashes. Dietrich also kept her bottom lashes clean, because she said it would cast a shadow on her lower eyes. I’m not sure about casting a shadow, but I have always had an issue with eyeliner and mascara rubbing off under my eye leaving dark residue- a partially resolved with waterproof eyeliner. Like Marlene I have blonde hair and lashes. Without mascara and eyeliner, I look like a ghost. This morning, I put my make-up on like usual, very black mascara and brown eyeliner on my top lids, but left the bottom clean. 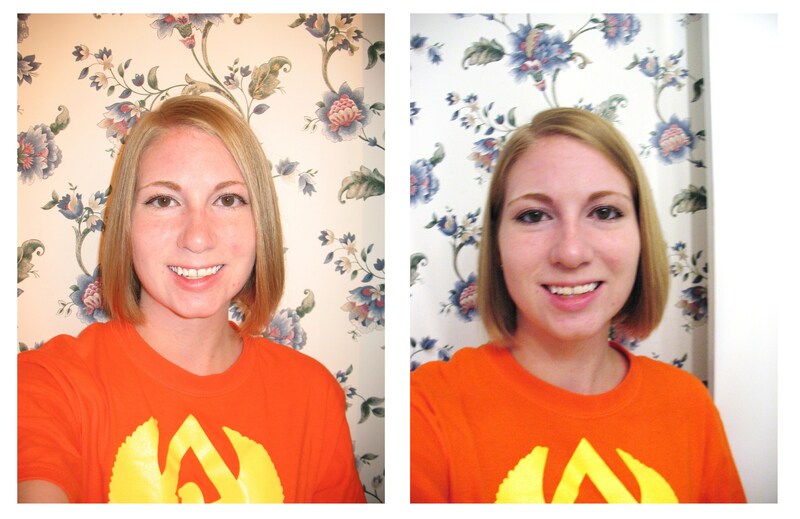 The photo below shows the bottom lashes clean and then how I usually wear my make up-liner and mascara on bottom lid. To review: While the clean lashes didn’t look terrible, it’s not something I’m going to start sporting. It gave me a different look but almost looked incomplete to me. This is one of those tips that works differently for different people. Darker lashes would work well, but people with very light lashes like myself might not feel comfortable with it. This entry was posted in Beauty Tips and tagged blonde eyelashes, bottom lashes mascara, Marlene Dietrich, mascara by Jnpickens. Bookmark the permalink. I noticed after 31, if I kept the bottom lashes clean, false lashes on the upper and liner w/ mascara, It REALLY looks right, I think when you are younger, you can get away with doing both upper and lower. You looked more Glamourous with both lids done, but upper only I bet looks stronger in person, for day. You did a great job, Thank You! The left photo does look more youthful. I may have to give it a try. More effective than I would have guessed. Marlene Mascara | Comet Over Hollywood when I was exploring stumbleupon. much they decided to bookmark it. I’ll surely be returning here more often.